We have 2 new features to help you acquire new Facebook Messenger followers! Say hello to our Global Facebook comments and Add to Cart pop-up! 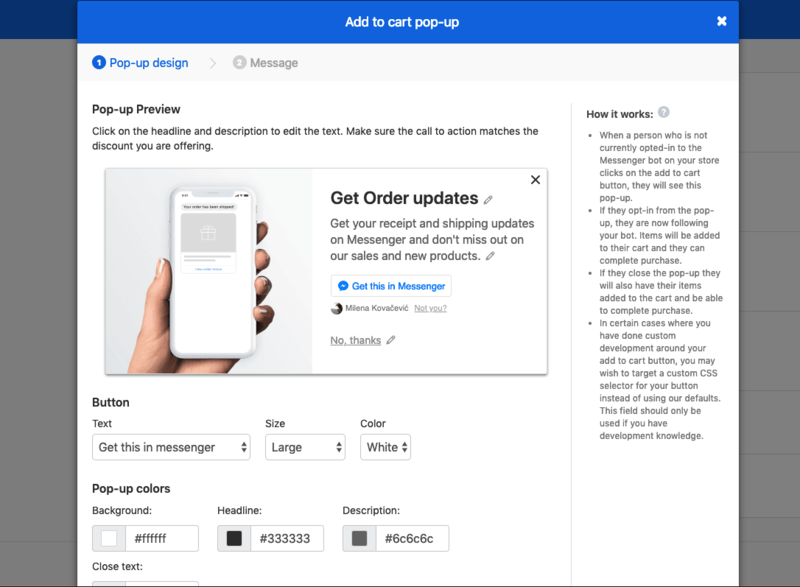 With these new features, ecommerce merchants on Shopify now have more options for growing and interacting with their Messenger followers. Just like with email, acquiring new followers is key to your success with Messenger marketing. 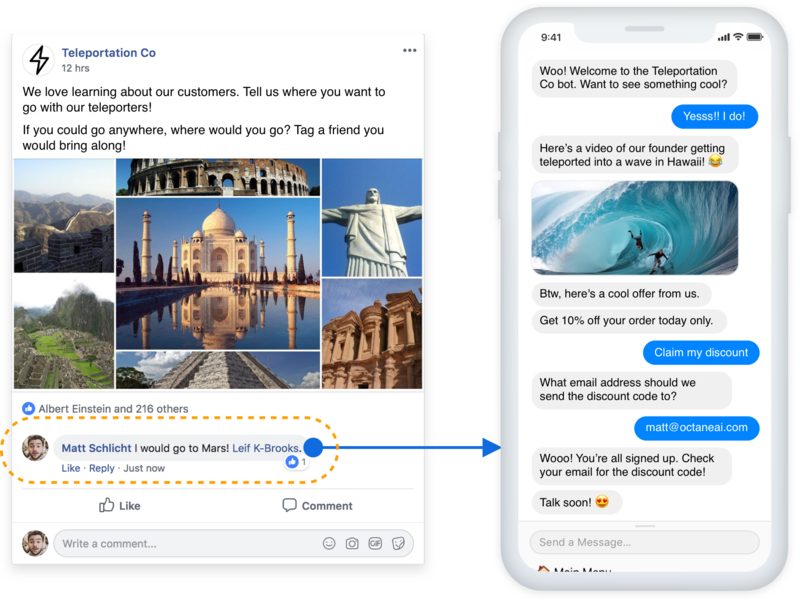 Global Facebook comments and the Add to Cart pop-up now give merchants even more ways to grow their Messenger list and build more relationships with new customers. What is Global Facebook Comments? With Global Facebook Comments, your bot will automatically send a message in Facebook Messenger to anyone who comments on your Facebook posts. Once the user engages with the bot, they'll become a Messenger subscriber! It's really that simple. Think of it as having an in-store greeter that onboards users to your bot! How is this different from the standard Facebook comments feature? Simple. Global Facebook comments applies to all of your previous and future Facebook posts. The standard Facebook comments feature only applies to posts on a one-by-one basis. One thing to note is that Global Facebook comments only sends a user their automated message once. They will not get multiple messages even if they comment multiple times. From the Octane AI Dashboard, click Campaigns > Facebook comments. Once you're on the page, select "Add global" to set up the Global Facebook comments feature. 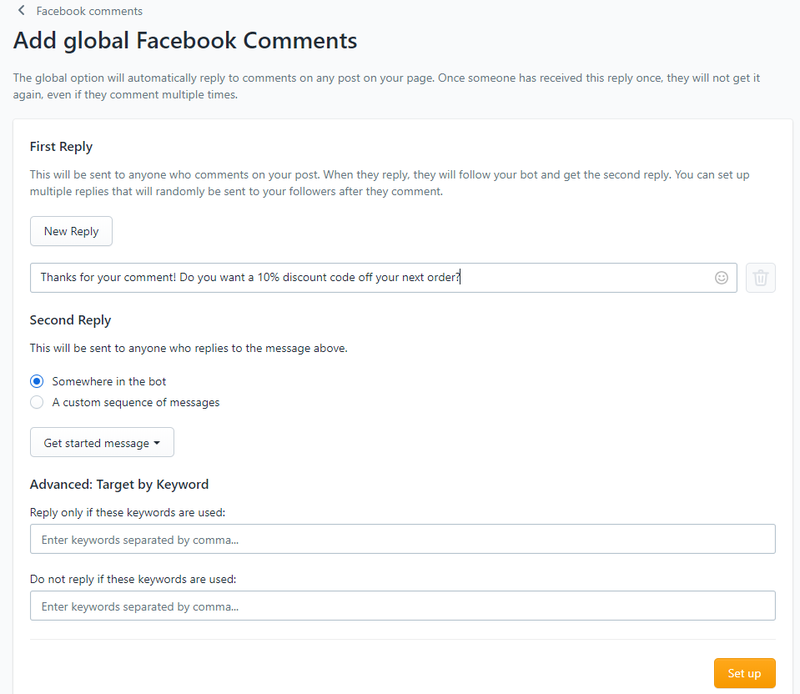 Once you click "Add global", you can set up the automatic replies to be sent from your Facebook page. You can have messages sent automatically, or you can have messages only be sent if a specific keyword is used. What is the Add to Cart Pop-up? 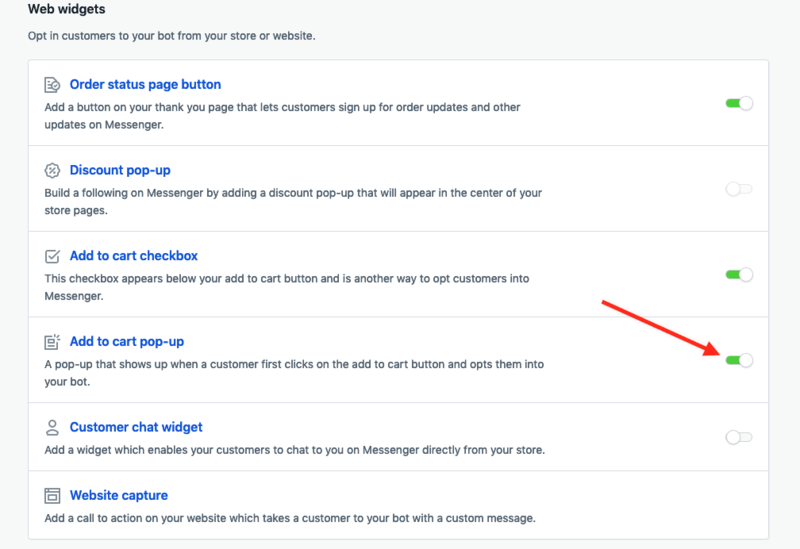 With the Add to Cart pop-up, users will now see a pop-up allowing them to opt-in to Facebook Messenger once they click the "Add to Cart" button when adding products to their cart. This allows them to opt-in to Messenger in case they don't see or interact with the Add to Cart checkbox in the product listing. Simply go to your Octane AI Dashboard, scroll down to Web widgets and turn the add to cart pop-up ON. Can I customize how the pop-up looks? That's all for now! We have even more exciting features and updates to announce soon. 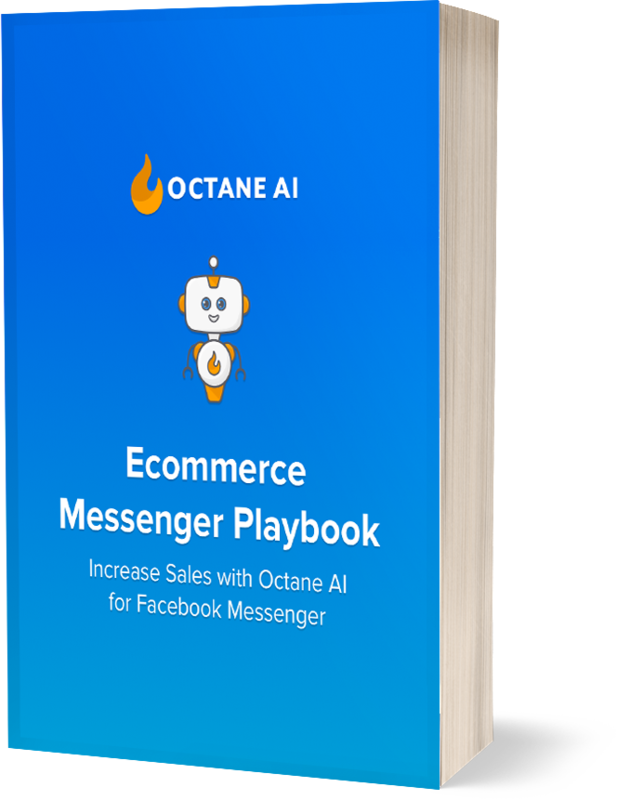 For more strategies on using Facebook Messenger, download the Ecommerce Messenger Playbook below.